Looking for some manufacturing safety training tips? If so, that makes sense. There’s a lot to be said in favor of working in manufacturing, but it does pose a set of hazards to the workers. However, safety managers and other safety professionals work tirelessly to create safer, healthier workplaces for manufacturing employees (and of course, in a good safety culture, they’re working hand-in-hand with the employees themselves), and part of that involves safety training for the manufacturing workforce. In this article, we’re going to walk you through some key aspects of safety and safety training in manufacturing facilities, and give you tips to help create a safer, healthier workplace. Before we begin, though, know that you can download a free guide to Effective Safety Training by clicking the download button at the end of this article, or just download any of the free guides and/or watch any of the free webinars listed below. And with all that said, and with those free resources made available, let’s get to listing some manufacturing safety training tips. This article is about tips for manufacturing safety training, but we’re not going to just jump right into safety training right away. That’s because safety training never happens in a vacuum. It’s part of a larger, organized safety and health effort. So let’s start our deep dive into manufacturing safety and manufacturing safety training. A truly comprehensive occupational safety effort is centered around a safety and health management program or system. Establishing a safety and health program in your workplace is one of the most effective ways of protecting your most valuable asset: your workers. There is widespread agreement that the use of management systems can improve organizational performance, including performance in the occupational health and safety arena. 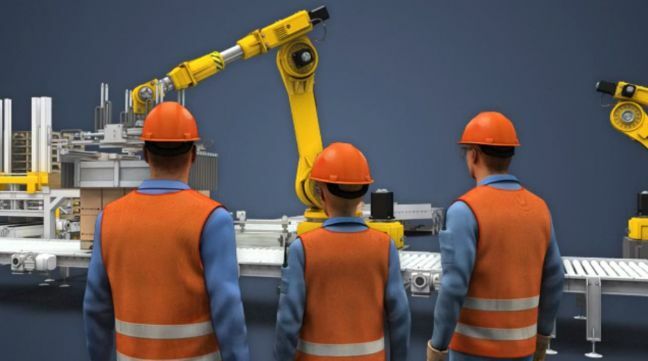 As a result, any effort toward manufacturing safety, including manufacturing safety training, is most effective when grounded within a safety and health management system. See this article to read more about management leadership and employee participation in an occupational health and safety management system. Your safety and health management program won’t go anywhere without planning, and its continued planning will make it increasingly effective. As a result, you should not only create an initial plan, but should implement periodic reviews of the plan as well. See this article to read more about planning a health and safety management system. Once the system is planned, it’s time to implement the system. OSHA’s recommended practices for safety and health management address this with a strong emphasis on hazard identification and assessment and, naturally, hazard prevention and control. Both the hierarchy of controls, which we address in the following section of this article, and safety training, which we address in the section of this article after that, and which is the focus of this article, fit into this step of safety and health management. See this article to read more about implementing and operating a health and safety management system. 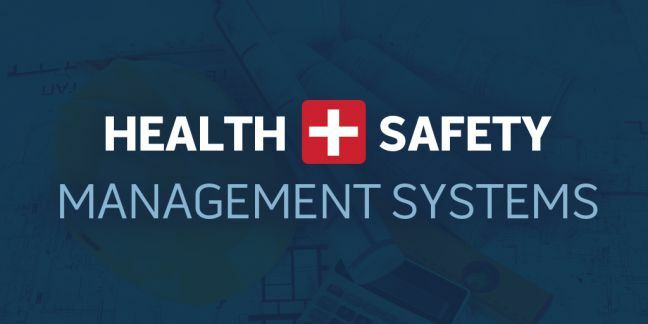 Once you’ve got your safety and health management program, you’ll need to monitor it, evaluate its performance, and correct deficiencies in a never-ending continuous improvement system. Make Improvements-Set aside a regular time to discuss safety and health issues, with the goal of identifying ways to improve the program. See this article to read more about monitoring, evaluating, and correcting a health and safety management system. Employers and/or management should periodically review the system to make sure it’s been implemented and is performing as intended. ONCE A SAFETY and health program is established, it should be evaluated initially to verify that it is being implemented as intended. After that, employers should periodically, and at least annually, step back and assess what is working and what is not, and whether the program is on track to achieve its goals. Whenever these assessments identify opportunities to improve the program, employers, managers, and supervisors—in coordination with workers—should make adjustments and monitor how well the program performs as a result. Sharing the results of monitoring and evaluation within the workplace, and celebrating successes, will help drive further improvement. After the management review, create a summary of the review that lists the top commitments of upper management and a list of action items, including listing the person responsible for completing the items and target completion dates. It’s a good idea to periodically distribute status updates on the results of those action items. See this article to read more about management review of a health and safety management system. Since this article is about safety training, we thought we’d call out that you should provide your employees with training about your safety and health management system, including (1) that you have one, (2) what its purpose is, and (3) what their role in it is. What Is a Safety and Health Management Program? Also, keep your eyes on the progress of ISO 45001. And finally, you may want to learn some more about various “new” schools of safety, which take “systems thinking” into account. Here are some good starting places. As we learned in our reading above about safety and health management systems, an important aspect of occupational safety and health management is identifying and controlling workplace hazards. There are several ways to identify hazards at the workplace, and everyone–management, supervisors, safety personnel, and rank and file employees–should play a role. One of the keys to identifying to hazards at work is to perform a series of job hazard analyses. These are also known as JHAs, and sometimes as job safety analyses or JSA as well. That’s what we’ll focus on in this article, although all aspects of hazard identification are important. For more on hazard identification, in addition to just JHAs, check out this OSHA webpage on hazard identification. Here are four tips to keep in mind or to do even before you begin the official JHA process. Make sure you involve employees, along with supervisors and a safety professional, in the job hazard analysis process. Employees know the job and hazards as well as anyone, and in many cases better. Check your incident records to see what type of problems you’ve already been experiencing–and don’t forget those near misses too. It’s possible you’ve got hazards, perhaps even serious hazards, that haven’t yet caused an incident, so don’t stop there. But your incident list will give you a good point in the right direction. 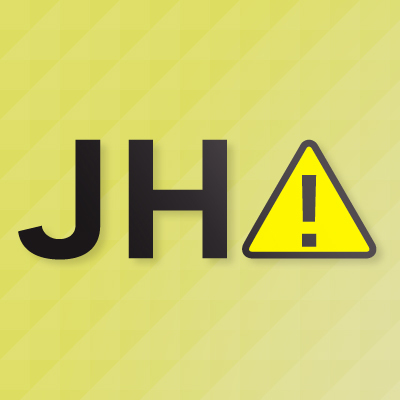 Ask employees if they have known hazards in their work area and create a list now, even before you begin the actual JHA process. Of course, if your workers point out a serious hazard, put a control in immediately. Make a list of the jobs and/or job tasks at the site and then rank them in the order for which you’ll perform JHAs. If you can do a JHA for every job, great, but in many cases, that’s not possible. In those cases, address the jobs with the most serious and/or probable hazards. To help you understand those concepts, check out our Risk Management and Safety article. With these preliminary steps down, you’re now ready to begin the process of completing your job hazard analyses, described below. Perform the JHA using the following four steps. Find the best way to perform a job and break it down into a list, listing each step in turn. Name and number each step, list them in order, plus describe the step, list the hazards associated with the step, and write down some potential hazard controls. There’s a sample form for this in OSHA’s JHA document. We’ve also included one in our free Job Hazard Analysis Guide. Let’s begin by explaining what a hazard is. In general terms, a hazard is something with the potential to cause harm. We’ve listed some categories of hazards for you in the table. below. OK, now that we know what a hazard is, let’s move on to discuss identifying hazards before they cause harm. This gives you a chance to remove or reduce the potential for harm. As we mentioned above, once you’ve listed each step or task of the job, list the hazards associated with each task. What could cause that thing/those things to go wrong? What other factors could contribute to that thing/those things going wrong? What would happen if that thing/those things did go wrong? How likely is it that that thing/those things will go wrong? You may find OSHA’s Hazard Identification Training Tool helpful here. Once you’ve identified hazards, write a description of each one. Environment: where does the hazard exist? Exposure: who or what might the hazard harm? Trigger: is there an event that might cause the hazard to cause harm? Contributing factors: are there other factors that could lead to harm? Outcome/consequence: what would happen if the hazard did cause harm? Here’s a one-screen sample from our online Job Hazard Analysis course that demonstrates this. Your next job is to think of a way to control each of the hazards you’ve identified and described. While doing so, use the hierarchy of controls, which we’ll explain in detail in the section below. Remember, though, that you’ll want to prioritize which hazards to address first. These kind of issues are typically addressed under the topics of risk management and risk assessment. Click to read more about this in our article on risk management and safety. It’s a good idea to provide training to employees to help develop their ability to spot hazards–and also how to report them when they do. Also, provide training on what a JHA is, what its purpose is, and the employee’s role in the JHA process. Once you’ve identified hazards and prioritized them for attention, it’s time to devise controls to make the job safer. Let’s now move on to discuss controlling those hazards. Controlling Hazards: What Does It Mean to Control a Hazard? So, in everyday language, it’s a way to make work safer. Earlier we listed different types of hazards. Likewise, there are different types of controls, as described in the table below. Let’s talk about a few more aspects of these types of controls. You’ll sometimes see these two lumped together within Engineering Controls. You’ll sometimes see these grouped in as forms of Administrative Controls. However, OSHA specifically says “OSHA uses the term administrative controls to mean other measures aimed at reducing employee exposure to hazards” (other than safe work practices, that is). Which controls should you use first? Is there a method/order? Yes, there is a “best” order to use when trying to implement hazard controls. That’s where the term the hierarchy of controls comes into play, as you’ll learn below. The idea behind the hierarchy of controls is that you should attempt the controls in order from top to bottom. That means trying elimination first, then substitution, then engineering controls, administration controls, work practice controls, and only then PPE. Notes: We’ve “collapsed” work practice controls into the administrative controls category here, but don’t forget about it. Also, the hierarchy has traditionally been represented visually as shown below, with the small end of the pyramid pointed up, but many people are now “flipping it” so the broad end of the pyramid is at the top, which makes sense. The controls are listed from most effective (at the top) to least effective (at the bottom). Think of it, at the top, you’ve got elimination. You can’t do much better than eliminate the hazard, right? And at the bottom, you’ve got PPE, meaning the worker is still working in the presence of the full hazard, and only proper use of the PPE (and its proper operation) stands between the worker and some form of harm. 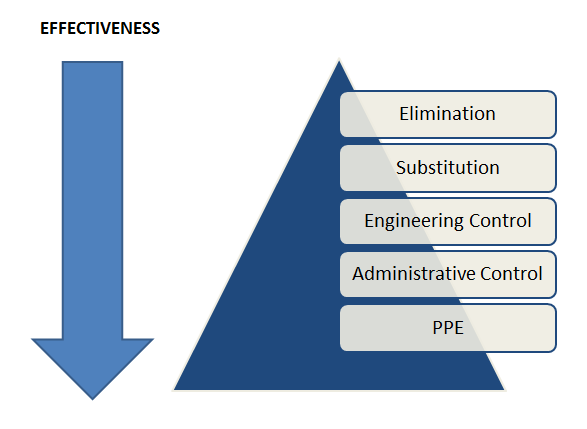 PPE is at the bottom of the pyramid because it’s the least effective and should only be used as a last resort. Don’t use PPE as the first option–try all other controls first. In many cases, you’ll find one type of control won’t be enough. In those cases, use multiple types–like an engineering control and PPE, for example. We said it earlier, but it bears repeating. Only turn to PPE as a last resort. And remember to provide proper PPE training to workers who will use it. For example, if a worker is going to work with a respirator, you’d want to provide a range of respiratory training materials, including something like this online respirator training course. 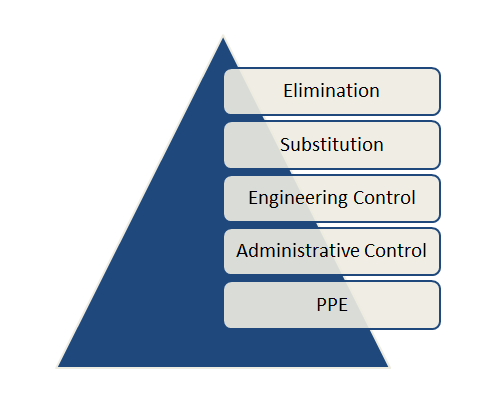 Always provide training to workers about the hierarchy of controls and how to use it. In particular, make sure they know that personal protective equipment, or PPE, is always to be used as the control of last resort. Now that we’ve discussed the importance of safety and health management, hazard identification and job hazard analyses, and the hierarchy of control, let’s now move on to safety and health training. Remember that training is part of the hierarchy–it’s an administrative control. 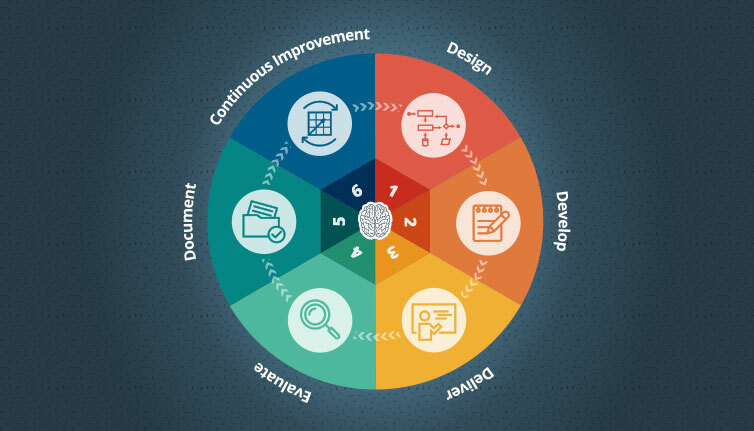 You can roll out effective manufacturing safety training using six steps, as shown in the illustration below. It’s a never-ending cycle. Safety training never ends. The last phase is continuous improvement. So you don’t just keep doing the same thing over and over. You keep doing it to make it better. So let’s look at six steps to follow for effective safety training in more detail. Like anything, safety training is better if you’ve got a plan for it first. That’s what “designing” is all about. During a training needs analysis, you determine what is the problem the training is supposed to fix and if safety training is really the best solution. Sometimes, you’ll find safety training isn’t the way to go. Maybe a better control, like elimination or an engineering control, would be better. In that case, don’t train. But in some cases, you’ll determine that safety training is called for. If so, proceed. What is the goal of your safety training? Are you trying to reduce a specific injury, for example? What will you measure after the training to confirm that it worked and maybe even show the bosses? Identify the metric(s) now and begin measure for before/after comparisons. This is very similar to what was described in the JHA. If you’re teaching workers a process, begin by breaking down the process into smaller steps and determining the proper sequence. This process is known as the task analysis. The next step of designing safety training is to determine your learning objective (or objectives). Learning objectives are basically the be-all and end-all of training. What do you want the workers to be able to do when the safety training is over? That’s what a learning objective is. Once you’ve got these, you’ll create training to match, you’ll create tests/assessments to match, and you’ll later observe workers in the field to see if they’re doing it. Read more about learning objectives and download a free guide here. Learn more about the employees to determine what will make the safety training more effective. Now consider the type of training you’ll deliver: instructor-led, field-based, informal job mentoring, online, written, social, etc. Many learning and development experts recommend a blended learning solution for safety training. That means mixing and matching and combining. In addition to the blended learning article linked in the sentence above, you may also enjoy this free Blended Learning Beginner’s Guide. And finally, you may want to read this interview with noted learning professional Dr. Will Thalheimer as he discusses research findings on the effectiveness of instructor-led training, eLearning, and blends of both. 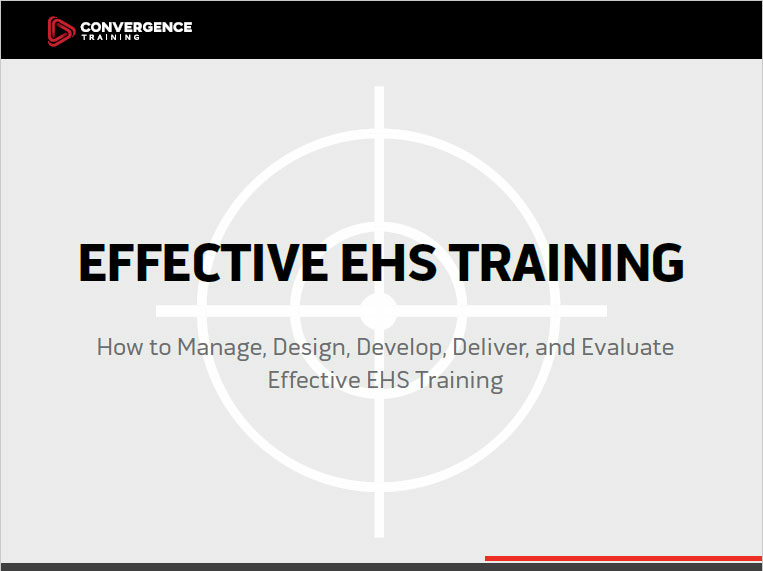 Click to read more about designing and developing effective safety training. Once you’ve planned out, or designed your safety training, it’s time to develop it. Below are some tips for you. Get your information from reliable, credible sources. Don’t just do a Google search and copy the first stuff you find. We mentioned this earlier, but make sure your training material provides all the information necessary for employees to learn to satisfy the learning objectives. On the flip-side, remove any materials that don’t contribute to that. To learn more about this, read our series of articles on how people learn (and don’t learn). Develop safety training with these in mind, and you’ll find it’s more effective. Ignore these, and you’re paddling against the current. Click to read more about adult learning principles and how to apply them for safety training. Although it’s an amazing organ, it’s also true that the human brain acts as a limit to the amount of information we can process and store at any one time. Give people too much new information at once, and they’ll forget it all. Very quickly. So, strip your training down to the bare essentials. Just the basics. Break your training down into smaller parts. This will improve how well employees can remember it. For more on this, read our extended article about chunking training, including many chunking techniques, and our demonstrations of chunking for safety training and chunking for mining safety training. When writing text for training, use simple, conversational, non-formal language that is similar to the language the workers use when talking. You may also have to consider issues related to a multi-language workforce. You can do this in a variety of ways. One way is to have interpreters deliver the training into a different language. 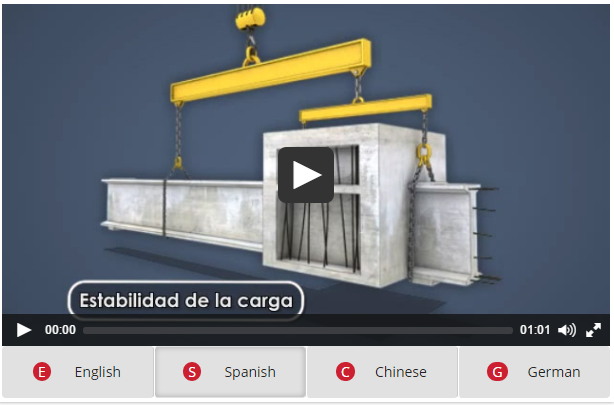 Another way to address this is to provide the same training in multiple languages. For example, the multi-language online safety and health course shown below allows the employee to select the language they understand best. People learn more if training materials appeal to their ability to process both language and images at the same time. So be sure to develop safety training materials that include visuals, as demonstrated in this sample video from an online Crystalline Silica Awareness training course. People learn new information better when they can integrate it with similar, or related, information that already exists in their memory. As a result, add something to the beginning of your training that makes the employees recall what they may already know about the topic you’re about to cover. To learn more about this, read this article about Robert Gagne’s Nine Events of Instruction. This is related to the point we just made about awakening prior knowledge. When introducing new information to people, try to use metaphors, similes, analogies, and other forms of comparison and contrast to things they already know. Read more about the use of metaphors, similes, and analogies in training. People are hardwired to listen to and enjoy stories. And research proves they remember information better if it’s from a story. So, try to find ways to use stories during your safety training. For more information, check this article on story-based learning and why you should use it. Or to see it in action, check some of these videos from the Chemical Safety Board, OSHA, and MSHA. All effective training should include feedback to help the learner judge if they understand the relevant knowledge or have mastered the relevant skill. For knowledge-based or awareness training, that can be verbal. For skill-based training, you’ll want the worker to perform the skill and see the results of their performance. Did it work? Did it fail? Hands-on training is a great way to do this. Scenario-based online safety training as described in this video can help, too. Read more about scenario-based eLearning courses here. People forget one-and-one training. If you’re doing safety training once a year, you can do better. Consider instead continually introducing safety training over weeks and months, reinforcing the previous training. And that brings us to the importance of refresher training and something called spaced practice (which basically means giving employees repeated chances over time to practice new skills). Those refresher training sessions don’t have to be super-long. A quick eLearning course may be quite effective as a refresher. You may also want to look into microlearning for refresher training. Effective learners analyze how well they’re learning a new topic. Ineffective learners don’t have this skill. To help people learn from your safety training, build in prompts that ask them to judge how well they understand what the training is trying to convey. This process of thinking about what you’re learning and how well you’re learning is part of what is known as metacognition. Read more about it at the link you just passed. You could do much worse than read the amazing, classic book by Julie Dirksen titled Design for How People Learn. For even more information, click to read more about designing and developing effective safety training. Let’s consider some aspects of delivering the training now. Safety training, like all training, has to be designed to match the learning needs of the learners. That’s what people mean when they talk about learner-centric training. If you aren’t creating learner-centric training, your training is failing. No ifs, ands, or buts. But what is learner-centric training, more specifically? A lot of things, but you can start with that list of adult learning principles we introduced earlier. You can also check out this article on Robert Gagne’s nine events of instruction or this article about a similar, more recent list of steps of training based on cognitive psychology. Or read up on our series of articles on how people learn. You shouldn’t deliver all your safety training in the same delivery method–for example, all instructor-led training, or all field-based training, or all online training. Instead, you should mix and match these safety training delivery methods to create a blended learning solution. Read more about blended learning solutions here and here, or download our free Guide to Blended Learning. Be engaging, be conservational, and be interactive. Make training a two-way conversation. These aren’t effective learning opportunities, and people don’t learn this way. A train-the-trainer course might be a good idea. But remember, simply being a clown up there won’t make your training effective either. Everyone can laugh and giggle and have a great time through your training, but that doesn’t mean they’ve learned. Online training is best when it’s relevant, engaging, and interactive. Another thing to look for in online safety training courses is the effective use of visuals, as demonstrated in the short video below. Avoid passive, boring online safety training. The times have changed. Actually, they changed quite some time ago. 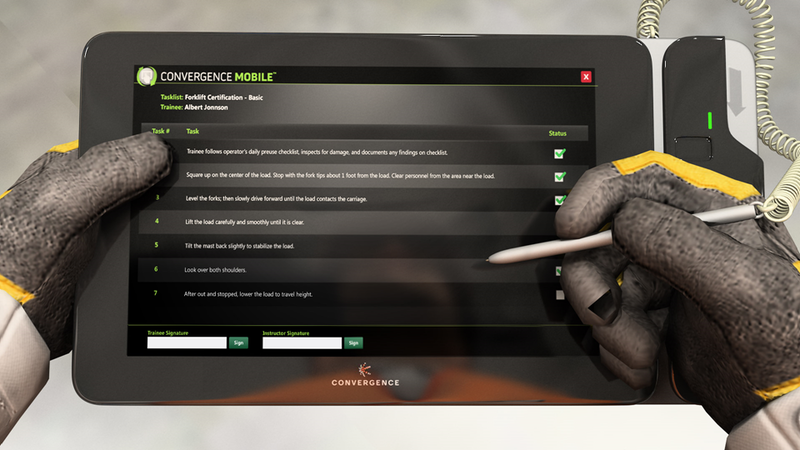 Your safety training should include some form of mobile training. Mobile makes it easier for workers to train on their own schedule, and easier to pull up information where it’s needed-in the field. So you’ve delivered the safety training. Kudos! But was it any good? Did it work? The standard way to determine that is the Kirkpatrick Training Evaluation model. The Kirkpatrick model includes four levels, which we’ll describe below. Those evaluation sheets you hand out at the end of training to get the workers’ opinions are sometimes known as “smile sheets.” This is level one of the Kirkpatrick model. Click the link to read our more detailed article about how to write better level-1 evaluations/smile sheets and/or read our interview with Dr. Will Thalheimer on smile sheets. The second level of evaluation is a test after training. This may be a knowledge or awareness test, or a skill demonstration. 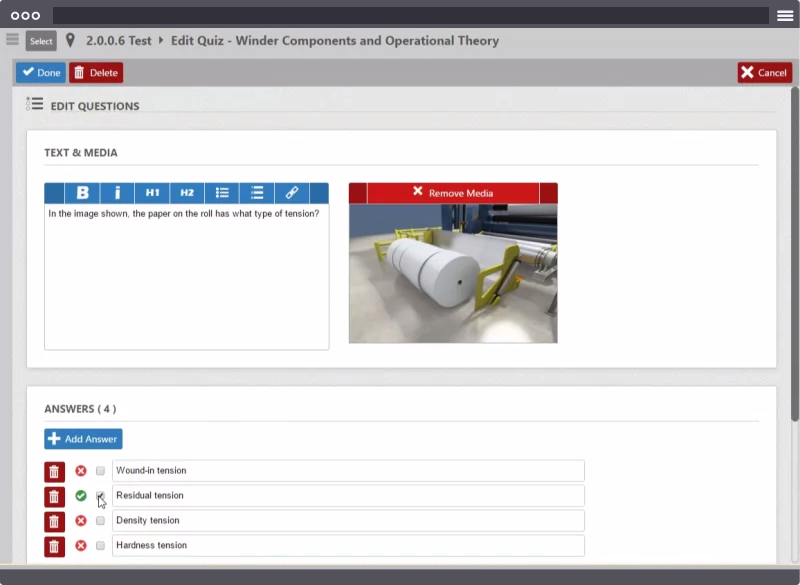 For simple knowledge/awareness tests, an LMS with built-in content creation capabilities can be very helpful. If skill demonstrations and evaluations are required, especially in the field, you may benefit from mobile learning apps. You can’t stop at tests, though. People often do well on tests 10 minutes after a training and forget almost everything by the next day. By that, we mean observe if the employees are working safely as they learned in the safety training. If they are, great. Give them some recognition, thank them, and tell them to keep on practice the safe work habits. If they’re not, that’s not great. But doesn’t immediately assume the problem is with the workers or even the training. Ask questions and investigate–there may be other things going on. Of course, if it IS clear there’s a training problem, you’ll want to remedy that. That may be as simple as a simple verbal reminder or some refresher training. Or maybe you’ll have to go back and modify the original training. Earlier, you identified the key metrics that would help you determine if your training was effective or not. And you made a “before” measurement. After the training is over, go back and check those same metrics again. Here’s where you’ll find if the training was effective. Click to read a more detailed explanation of evaluating effective safety training. Keep records of your safety training. This includes records of the process of creating the training and delivering the training. Or the employees who took the training and how they did on their assessments. And of your own evaluations of the training, plus any revision and/or continuous improvement efforts. Click to read more about recordkeeping and documentation for effective safety training. Keep looking at those evaluations, at changes in the workplace, and other factors, and continue to revise and improve the safety training over time. Well, we hope you enjoyed reading this article on manufacturing safety training tips even half as much as we enjoyed writing it! If so, then we’re happy about that as well. Before you leave, know that we’ve got a free, 60-page guide to effective Environmental, Health, and Safety Training for you below. Click and download, it’s all yours. And remember there are links way UP there at the top of the article for downloading a lot of other free guides too. You might also want to check out our libraries of online safety training courses and online manufacturing training courses. They’re ready-made and available for instant licensing or viewing, and are available in streaming formats, USB, as well as SCORM and AICC for importing into a learning management system (LMS).